"The Muir" is a thriving community of almost 3000 people. Dozens of active community groups provide activities, fun and education – everything from Bridge to Brownies, from Singing for Fun to Soup and Sandwich lunches. Fabulous new centre The Muir Hub hosts a cinema / music / event venue, meeting spaces and an Artysans Cafe, run by the Calman Trust. As well as the Hub, the main tourist attraction is Glen Ord Distillery, the Black Isle's only distillery. Excellent guided tours and tastings are available and a range of whiskies and related gifts can be bought. Visitors are also welcomed at Muir of Ord Golf Club, and the Skate Park is very popular with the area's young folk - not least because it has a roof! 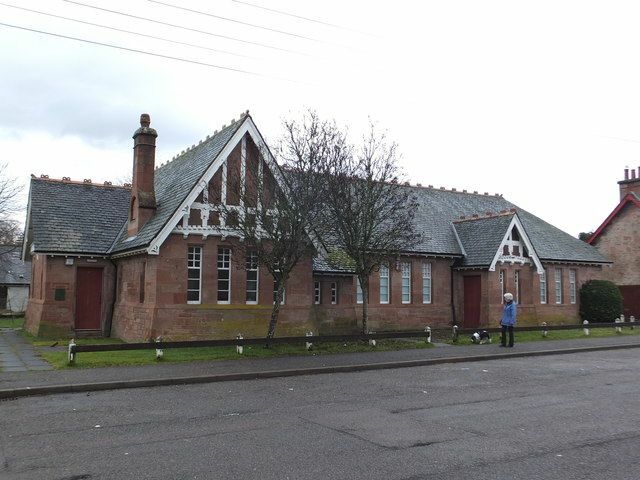 Muir of Ord is a main service centre with railway station, primary school, health centre, three churches, two pubs/hotels, a public library, petrol station, two carry-out food outlets, an ATM, and bike and car repair workshops. There is a good range of shops including a general store, baker, butcher, pharmacy, hairdressers, bike shop, pet supplies shop and charity shop. 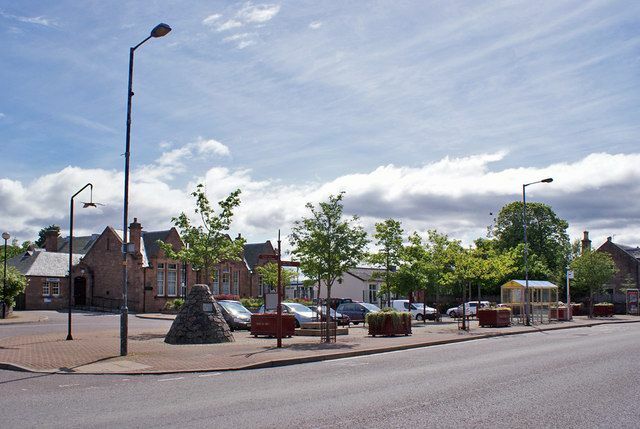 The village lies between the Beauly and Conon rivers, surrounded by rich farmland. The area produces high quality cereals, potatoes and livestock. On the surrounding hills sit the traditional crofts, an important part of Highland life. The village is a major hub with roads and railway arriving from North, South, East and West. The surrounding district, with low lying land on one side and hills on the other, is a perfect area for walking and cycling. There is a good range of B&Bs, hotels, camping and caravan sites, self catering accommodation and a bunkhouse all within easy reach. The North Coast 500 route and the Beauly Firth Cycle Loop both visit the village and the National Cycle Network Route 1, John O'Groats to Land's End, comes close by. From the centre of the village a selection of lovely local walks are signposted. Due to the lie of the land, with routes through the hills to the north, south, and west, in times past Muir of Ord was a key centre for the droving trade. For centuries cattle were driven here from the Highland glens to a great cattle tryst (an old Scottish word for meeting place) – a scene of wheeling and dealing, gossip and music, fun and games. Cattle, the mainstay of the Highland economy were bought and sold, some of them even being driven on over many weeks, even as far as London's Smithfield market, grazing along the way. The legacy of this traditional trade is the Black Isle Show, where similar activities take place on the same site. In early August people gather from across the Highlands and beyond, for the North's biggest agricultural show. 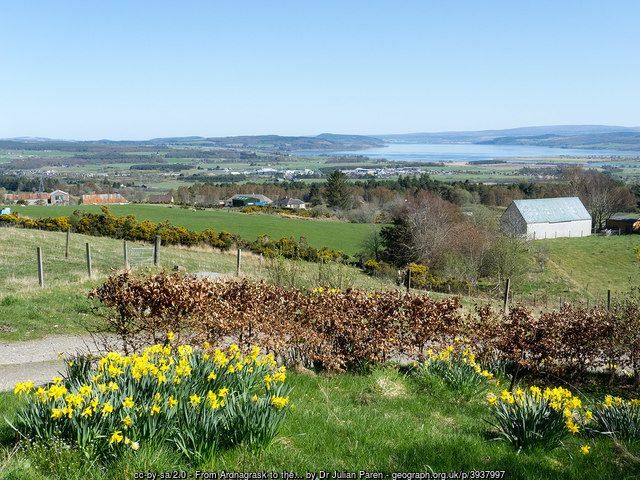 Looking down over Muir of Ord to the Beauly Firth.